Els de Graauw (PhD in Political Science, UC Berkeley) is Associate Professor at Baruch College, the City University of New York, with an appointment in the Department of Political Science and teaching responsibilities also in the Austin W. Marxe School of Public and International Affairs. She also is the Acting Director of the M.A. Program in International Migration Studies at the CUNY Graduate Center. Her research centers on the nexus of immigration and integration, civil society organizations, urban and regional politics, and public policy. Her award-winning book Making Immigrant Rights Real: Nonprofits and the Politics of Integration in San Francisco (Cornell University Press, 2016) analyzes the role of nonprofit organizations in advocating immigrant integration policies in San Francisco, with a focus on immigrant language access, labor rights, and municipal ID cards. She has under way a comparative study of city and state immigrant affairs offices in the United States and a study of immigrant organizations in New York City. Her research appears in the Journal of Migration and Human Security, Politics, Groups and Identities, Journal of Ethnic and Migration Studies, WorkingUSA, Politics & Society, American Journal of Sociology, Daedalus, Annual Review of Political Science, Hérodote, and various edited volumes. Shannon Gleeson (PhD in Sociology and Demography, UC Berkeley) is Associate Professor of Labor Relations, Law & History at the Cornell University School of Industrial and Labor Relations. She was previously on the faculty of the Latin American & Latino Studies Department at the University of California, Santa Cruz. Her books include Precarious Claims: The Promise and Failure of Workplace Protections in the United States (University of California Press, 2016), The Nation and Its Peoples: Citizens, Denizens, Migrants (Routledge, 2014, edited with John Park), and Conflicting Commitments: The Politics of Enforcing Immigrant Worker Rights in San Jose and Houston (Cornell University Press, 2012). 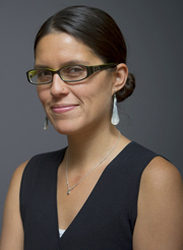 Her current collaborative projects also include a study of consular advocacy for immigrant workers (with Xóchitl Bada, University of Illinois-Chicago) and an investigation into the effects of temporary immigration status on worker legal mobilization (with Kate Griffith, Cornell University). Yoselinda Mendoza is a doctoral student in Sociology at Cornell University. She earned her BA degree in Psychology and Social Behavior at the University of California, Irvine. Her research interests focus on immigration, race and ethnicity, civic engagement, and education. As a second-generation Mexican-American born and raised in Santa Ana (CA), a predominantly low-income Latina/o immigrant city, Yoselinda became interested in exploring how contexts of reception shape immigrant integration in varied social facets. Using a mixed-methods approach, her own research focuses on how critical markers of difference shape civic participation. She is also working on a collaborative quantitative project that examines immigrant poverty trends across state socio-political contexts. Yoselinda has worked on the DACA project since summer 2017. Amy Saz earned a Bachelor of Science in Industrial and Labor Relations and is currently finishing up her Master of Public Administration degree, both at Cornell University. She is focusing on Social Policy dealing with immigrant and low-wage workers; she is expanding her knowledge on policy tools to support effective socioeconomic programs and policies that positively affect Latino immigrant communities. Amy has worked with the immigrant farmworker population in New York State through her involvement with the Cornell Farmworker Program. She has also been an active member of Cornell’s Translators and Interpreters, a board member of Friends of Farmworkers, and a Student Ambassador for the Cornell Institute for Public Affairs. Amy has worked on the DACA project since summer 2016. Siqi Tu is a PhD candidate in Sociology at the Graduate Center, City University of New York. She earned a BA degree in Sociology from Fudan University (China) and a MA degree in Sociology from Columbia University. Her work focuses on the areas of urban sociology, immigration, education, elites, and contemporary Chinese societies. Siqi was born and raised in Shanghai, China and moved to New York City in 2012. She developed her interest in immigration and urban neighborhoods as a keen observer of diverse communities in different metropolitan areas. Her dissertation, "Destination Diploma: How Chinese Upper-Middle Class Families 'Outsource' Secondary Education to the United States", investigates why and how Chinese upper-middle-class families make decisions to send their children to the Unites States to attend private high schools, some as young as 14 years of age, and it analyzes the lived experiences of the students of this "parachute-generation". She has taught sociology at Brooklyn College since 2014, and she is currently a Writing Fellow at Kingsborough Community College. Siqi has worked on the DACA project since fall 2015. Jenny Coronel works at the New York State Office for New Americans. She received her MPA degree from the Marxe School of Public and International Affairs in 2016 and her BA degree from Williams College in 2010, with a major in History, concentrations in International Relations and Latino Studies, and a French certificate. She has conducted independent research on North African migration in Marseilles, France and graduated from the School for International Training’s Migration Studies Program in Rabat, Morocco. She served as a Community Building and Organizing AmeriCorps VISTA Volunteer, was an English Teaching Assistant at Nevsehir University in central Turkey through the Fulbright Program, and has over three years of experience in real estate development, community development, and the nonprofit sector. She speaks Spanish and French and dabbles in Turkish. Jenny worked on the DACA project during the 2015-16 academic year. Roberto G. Gonzales (PhD in Sociology, UC Irvine) is Professor at Harvard University’s Graduate School of Education. His research focuses on the factors that promote and impede the educational progress of immigrant and Latino students. Over the last decade and a half, he has been engaged in critical inquiry around the important question of what happens to undocumented immigrant children as they make transitions to adolescence and young adulthood. Since 2002, he has carried out a comprehensive study of undocumented immigrant young adults in the United States. Roberto’s forthcoming book (University of California Press, 2015), titled Lives in Limbo: Undocumented and Coming of Age in America, is based on an in-depth study that followed 150 undocumented young adults in Los Angeles for 12 years. In addition, his National UnDACAmented Research Project has surveyed nearly 2,700 undocumented young adults and is presently carrying out 600 in-depth interviews on their experiences following President Obama’s Deferred Action for Childhood Arrivals (DACA) program. In addition to scholarly journals, Roberto’s work has been has been featured in the New York Times, Washington Post, LA Times, Wall Street Journal, La Opinion, TIME, CNN, and NPR. Prior to his faculty position at Harvard, Roberto was on faculty at the University of Chicago and the University of Washington. His work is supported by the John D. and Catherine T. MacArthur Foundation, the Bill and Melinda Gates Foundation, and the James Irvine Foundation. Tom K. Wong (PhD in Political Science, UC Riverside) is Associate Professor of Political Science at the University of California, San Diego. He is also Director of the International Migration Studies Program Minor. His research focuses on the politics of immigration, citizenship, and migrant “illegality.” As these issues have far-reaching implications, his work also explores the links between immigration, race and ethnicity, and the politics of identity. His first book, Rights, Deportation, and Detention in the Age of Immigration Control (Stanford University Press, 2015), analyzes the immigration control policies of twenty-five Western immigrant-receiving democracies. He is currently completing his second book, which is on the politics of comprehensive immigration reform in the United States, among other projects. Tom’s research has been used by policymakers both in the U.S. and in Mexico, as well as by organizations that serve immigrant communities. He is the lead researcher on one of the first nationwide surveys of undocumented youth. He is also the creator of the CIR Blog, which predicts support and opposition to comprehensive immigration reform among all 535 current members of Congress. Tom and his work have been covered by ABC News/Univision, Fusion, NPR, the New York Times, the Los Angeles Times, Yahoo News, and by Univision in Mexico. He is also on the leadership committee of the California Immigrant Policy Center and on the advisory council of Unbound Philanthropy. Tom also consults on campaigns and elections, specializing in mobilizing low-propensity voters of color and immigrant communities.